Keith and Nicole Heaverin of Dry Ridge announce the birth of their second child. Parker William Heaverin was born at 2:29 a.m. on Oct. 19, 2008, at St. Elizabeth Medical Center. 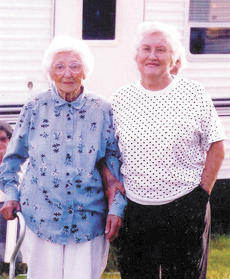 Mary Sue Blackburn turned 100 years old on March 30. She was born in 1909 in Folsom, married Kell Blackburn on May 18, 1927 and had one child, Faywood Taylor. She is the oldest living out of all her sibilings. Blackburn loved to garden and would do everything in a dress and an apron. She made everything the family ate. “I can remember grandpa would go to the store for flour, tea, sugar, coffee, salt and pepper and that’s it,” said Rita Taylor her granddaughter. Blackburn was a housewife and worked on the farm. The Williamstown Fire Department saw a need to improve communication between firefighters, but it would cost a lot of money to correct. Williamstown Fire Chief Les Whalen requested the money through a grant and was rewarded for his efforts. Thanks to a federal grant for $155,532, the fire department can do just that. U.S. Congressman Geoff Davis presented the money to Whalen and Williamstown Mayor Glenn Caldwell. Orders for Angel Food may be placed at Family Worship Centerin Williamstown from 9 a.m. to 3 p.m. Tuesday through Friday. Special Ordering Times will be at Family Worship Center from 5 to 7 p.m. April 7 and from 10 a.m. to 12 p.m. April 11. The deadline to order online is April 12. Orders may be placed at FWC until 3 p.m. April 13. Joel and Melissa Wash of Sanders announce the birth of their first child. 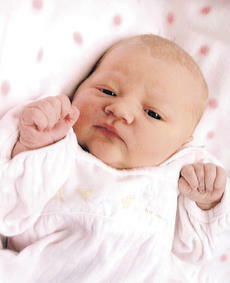 Emma Noel Wash was born on Jan. 21, 2009. She weighed 8 pounds and 7 ounces and was 21 inches long. Her maternal grandparents are Fred and Judy Money of Dry Ridge. Her paternal grandparents are Patricia Jones of Owenton and the late Jimmy Wash.
Kentucky State Police honored eight members of their agency who went above and beyond the call of duty to make the highways in the Commonwealth a safer place. The “Excellence in Highway Safety” Awards are based upon the highest number of occupant protection, speed, driving under the influence (DUI) and commercial vehicle citations written in 2008. 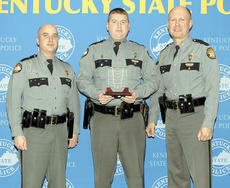 An additional award was presented to the Public Affairs Officer who recorded the highest number of community education events relative to highway safety. Amber Horn and Merrell Jennings of Williamstown announce the birth of their first child. 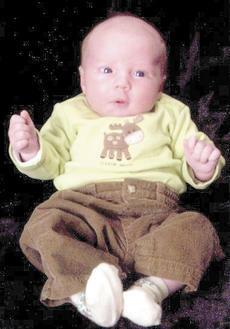 Rhianna Sharell Jennings was born at 7:58 a.m. on Feb. 5, 2009, at St. Elizabeth Medical Center South in Edgewood. She weighed 7 pounds and .02 ounces and was 19 inches long. 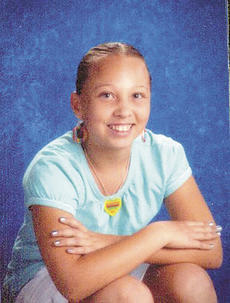 Her maternal grandparents are Tonya and Donald Horn of Williamstown. Her paternal grandparents are Brenda Odom and Wilbur Thornton of Murfeesboro, Tenn.
Rhianna was welcomed home by Tyrell, Grandma and Grandpa. Raquel Tracy, 11, has been chosen as a State Finalist in the National American Miss Kentucky pageant to be held June 28, 2009 at the Hyatt Regency in Lexington. The pageant is held for girls ages 10 through 12. The winner of the pageant will receive a $1,000 cash award, the official crown and banner, a bouquet of roses and air transportation to compete in the national pageant at Disneyland in California. Tracy’s activities include cheerleading and gymnastics. She also enjoys playing with her baby sister Tessa. Grant County leaders of the National Wild Turkey Federation will host their 11th Annual Hunting Heritage Banquet at Williamstown High School March 28. 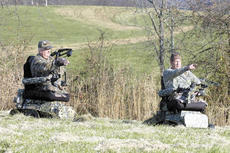 The event, sponsored by the Eagle Creek Gobblers Chapter, promotes wild turkey conservation. Larry and Jane True Jones of Corinth and H. Gary and Sis G. Norton of Fairfield, Ohio are pleased to announce the engagement and forthcoming marriage of their daughter, Leann True Norton to Shane Garland Ramey, son of Gary and Debbie Ramey of Salt Lick, Ky. The bride is the granddaughter of the late John and Myra True of Corinth and the late Herman Norton and Opal Norton Gruen of Dry Ridge. 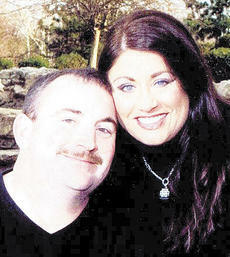 The wedding is being planned for 6:30 p.m. April 4 in Georgetown.